On July 6, 1988, Brazil signed an agreement with China that called for the joint development (between the INPE and the Chinese Space Agency) of two earth-imaging satellites to be launched by a Long March Chinese rocket from the Shanxi Launching site. The spacecraft, based on Chinese research with the Shi Jian 3 project, a joint Earth observation spacecraft, is commonly referred to as CBERS (China-Brazil Earth Resources Satellite - Satélite Sino-Brasileiro de Recursos Terrestres) but also known in PRC as Zi Yuan (Earth Resources). The program initially called for two launches in 1996 and 1998-1999. The 1,450-kg spacecraft will have overall dimensions of 2 m by 3.3 m by 8.3 m with a 1.1 kW capacity, single solar array and will operate in an 800-km sun-synchronous orbit with a 26-day repeating groundtrack pattern. In 1986 the State Council of China authorized astronautics ministry of industry "about To accelerate To develop Astronautics Fitness report" to determine a development resources satellite duty. The Sino-Brazilian agreement was inactive from 1988 through 1991 because of Brazil's lack of funds. In 1988 China and the Brazil government united the protocol authorization, in a Chinese resources original plan foundation, by China, Pakistan invested together, jointly developed the China and Pakistan earth resource satellite. 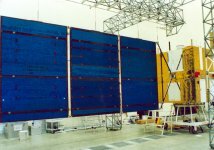 In October 1991 and November 1994, Brazil and China signed additional agreements for the construction of the satellites, worth US$150 million. Brazil is also developing the Remote Sensing Satellite (Satélite de Sensoriamento Remoto - SSR-1). This project, cofinanced by China (70 percent) and Brazil (30 percent) called for the realization of two flight models at a cost of $150 million (Fr750 million), including $100 million for development, and $50 million for the launch. Wide-Field Imager: Two bands (0.63-0.69 µm and 0.76-0.90 µm); 260-m resolution; 900-km swath. The three remote sensors (the equivalent of reconnaissance equipment) installed on the "Ziyuan I" commercial satellite jointly developed by China and Brazil are real-time transmission sensors. Of these, the CCD multispectral camera and infrared multispectral scanner were developed by the Academy of Space Technology of China. Rather than using photosensitive films, these two remote sensors use hi-tech cameras to take frozen television pictures for real-time transmission back to earth. Obviously the resolution power of this kind of cameras far exceeds that of ordinary cameras and its reliability and ability to withstand vacuum, low temperature and violent vibration at launch cannot be matched by ordinary cameras. Of course their price is by no means low. The CCD multispectral camera on the "Ziyuan I" is the main remote sensor of the satellite. When the orbit altitude is 778 kilometers, its ground resolution power (image element) is 19.5 meters. Since its cameras have a side looking function of (32(m), the "Ziyuan I" can observe the same ground target every three days. This greatly increases the time-effectiveness of the information collected. 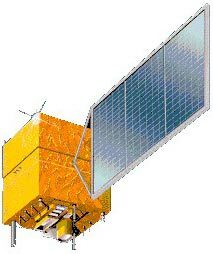 The infrared multispectral scanner on the "Ziyuan I" satellite uses infrared detectors as its light transfer elements. Its detectivity amplitude comes in four wave bands, ranging from visible light (0.5(m) to thermal infrared rays (12.5(m). The combination of these two remote sensors makes it possible to carry out round-the-clock observation. The longest global observation cycle is 26 days. 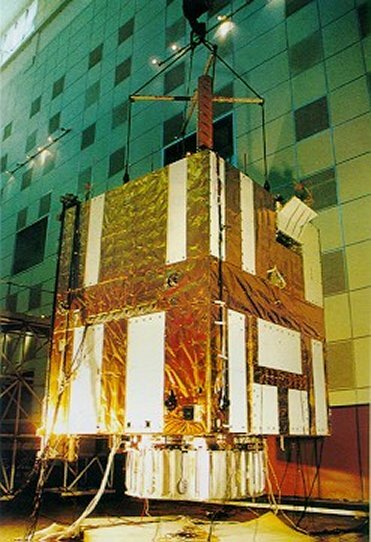 The first satellite generated by the scientific and technological cooperation between Brazil and China was launched in October 14th, 1999 and ceased operation in August, 2003, after working almost two years beyond its planned life span. During its lifetime, CBERS-1 daily generated images and collected environmental data of the Brazilian and Chinese territories. Ground stations in China had received the data of more than four hundred thousand scenes of images, and had provided various classes of image products to more than one hundred domestic users, contributing to agriculture, forestry, water conservancy, land utilization, resource and environmental investigation etc. These data have become main data source of dynamic monitoring in above mentioned aspects and have provided important information for some great projects in China, such as water transmission from south to north and gas transmission from west to east. 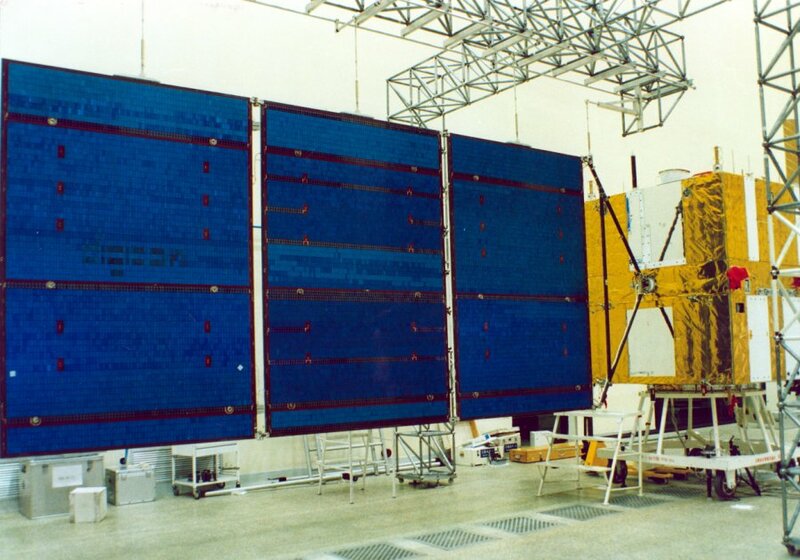 The CBERS-1 was scheduled to be launched in May 1997. 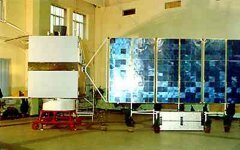 The first CBERS satellite was launched on October 14, 1999, aboard the Chinese rocket Long March 4B, from the Launch Center in Taiyuan, province of Shanxi, approximately 750 kilometers southwest of Beijing. 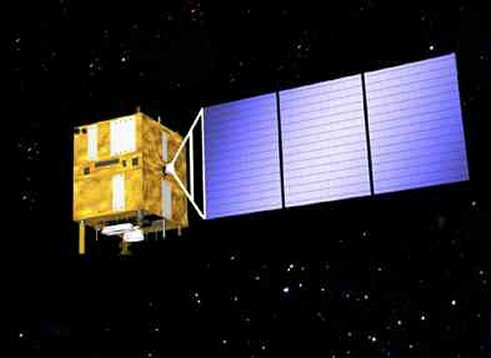 After two years China Resource Satellite Application Center had received about 230,000 data pictures provided by the CBERS-1 and the data covers 96 per cent of China's territory. The more than 280,000 images received are concentrated mainly over Brazil and China and are not generally available to other nations. The satellite is operated on a time shared basis by the two countries. 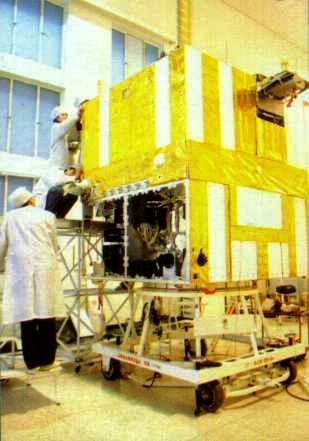 After the launch until March 2001 INPE performed only TM monitoring, orbit determination and payload operations. Thereafter, during the next 6 months, the overall satellite control was assumed by INPE. 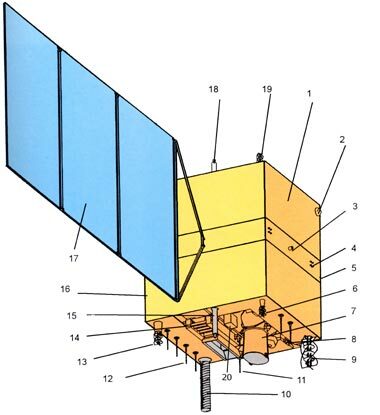 During this period, (ended on September 2001, when the overall CBERS-1 control returned to China responsibility) INPE has performed two orbit maneuvers to correct the time evolution of the orbit longitude phase drift. 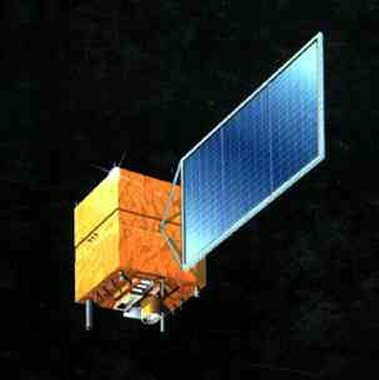 As of 14 October 2002, the China-Brazil Earth Resource Satellite No.1 jointly designed by China and Brazil (named Resource Satellite No.1 in China) had been successfully operated in orbit for the third year, exceeding the designed life span one year. The satellite was successfully launched on October 14, 1999. For the three years, China has received 310,000 pictures of various data from the satellite in accumulation and domestic customers purchased over 10,000 pictures. Both countries have finished studies of feasibility for the construction of two more satellites, CBERS 3 and CBERS 4, substituting the present CCD camera with another of 5 meters resolution. Furthermore, an extra satellite has been introduced to provide a smooth transition between the two generations. With regards to the development and application work of CBERS-3 & CBERS-4, COSTIND, on behalf of the Chinese government, has held discussions with Brazilian government. Under the authorization of the State Council, the two governments will sign an inter-governmental agreement on the continuous cooperation of CBERS-3 and CBERS-4.